Sonja visits an exhibition called "Not only salmon and sausage. 100 years of German-Norwegian relationship" at a design center in the Zeche Zollverein in Essen, western Germany, 17 October 2007. King Harald V and Queen Sonja are on a three-day visit to Germany. 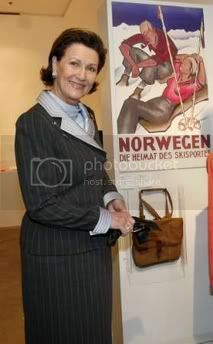 Poster at ® reads "Norway, homeland of wintersports". 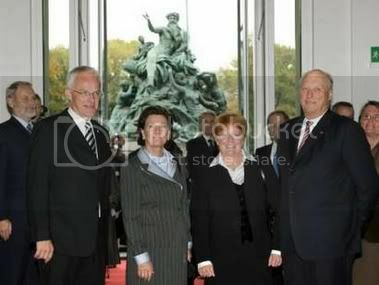 DÜSSELDORF, TYSKLAND, 20071017: King Harald and Queen Sonja of Norway pose for photographers during a press meet in Duesseldorf, Germany, Wednesday 17 October, 2007. Supload.com // Free Image Hosting charming couple! Here's a bigger version from Polfoto. That's a hilarious picture of the couple! They really seemed to enjoy themselves a lot! Here is a small picture gallery from isifa & i must say that the fourth (last) picture is quite cute but yet makes me smile. Ive tried to look for a few article in english about the visit but didnt find any except the ones ive posted earlier. I hope we'd get what was said at the press conference. It's a shame... Maybe the German journalists should just research a bit better. If they had a closer look they would have realized that it was nearly not possible for the people to get close to the Royal Couple. I saw pictures on TV that showed the very high security standards. So, how should the photographers get pictures of the people waving to the couple? Well, apart from this it's true... Harald and Sonja really don't belong to the best-known monarchs in Germany. The royals of Spain, UK, Netherlands are very popular. Sweden too, because Queen Silvia is from Heidelberg. 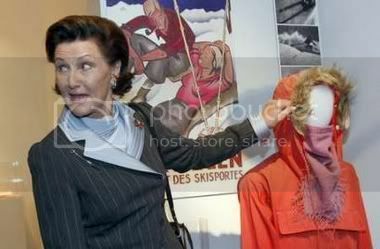 Norway: Only Haakon and Mette-Marit are popular because of the wedding and the rumors about Mette-Marit. Be happy with that, here nobody knows about Luxembourg or Belgium. Yes of course, I know. 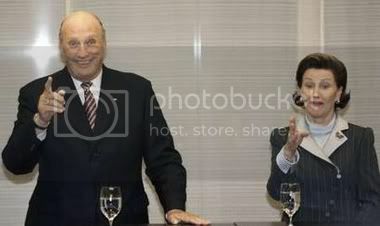 Harald and Sonja are just too boring for the German press: no scandals , no interesting stories. (Notice: since the Angel School-Story Märtha Louise is in TV every week ). But, it is also fact, that the people were "kept away" from the places H & S visited . ... as I explained before.